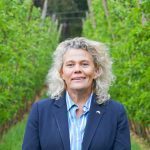 This week AgForce Queensland is hosting the Food, Fibre and Agricultural Educators Conference in Brisbane where the National Farmers’ Federation’s President Fiona Simson gave a keynote speech. See a full copy of her address below. For running updates on the week long conference follow #SIPPAgEdu19 on Twitter. Ladies and Gentlemen, thanks so much for the warm welcome here today, and the opportunity to share with you some of the amazing opportunities that, as a passionate agricultural advocate, I believe that you as educators have when millions of Australians every day place their children or even themselves in your hands through our education systems across Australia.. How many other professions have the power that you have to shape and to guide? To influence the lives and careers and the futures of our young people and the input they have to our very own nation? To pass on not only what you know, but to give those you teach the thirst for knowledge that is going to urge them to seek out knowledge, information and experiences firsthand for themselves? 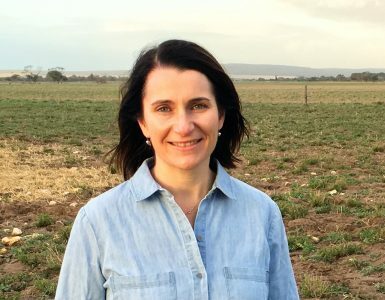 I’ve actually had a little first-hand experience of your profession – My first career change when marrying my husband Ed and moving to our farm near Premer on the Liverpool Plains of NSW was actually to teaching. I added a graduate teaching certificate and training qualification to my BA online, and taught both fulltime secretarial courses and work skills courses for indigenous women at our local Quirindi TAFE. I was actually also a swimming instructor and a typewriting teacher for our local primary school. For me, it was both immensely rewarding and immensely challenging, but I certainly got to experience first-hand some of the experiences that you all sign up to on a daily basis. Let us think of Education as the means of developing our greatest abilities because in each of us there is a private hope and dream which, fulfilled, can be translated into benefit for everyone and greater strength for our nation. – John F Kennedy. It’s inspiring isn’t it? It’s developing abilities in people you teach that will be used for the benefit of everyone, and greater strength for our own community and country. It’s certainly about looking at the future, and passing on knowledge to your students that is going to better equip them to contribute to the growth of our society whether they’re pre-schoolers, primary school students, teenagers or adults. It’s always important of course to learn from the past, but also of course critical to be future focused. Why is it important then that educators focus on agriculture and agricultural education? And I think here it’s important to stress that I’m talking not only about careers in agriculture, – which I’ll expand on a little later – but also the very basic facts about where the food on plate and the undies you wear come from. 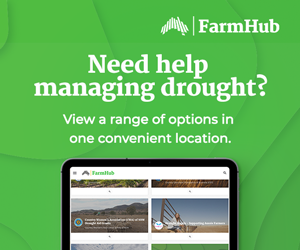 To start with, I’m sure you’ve all heard about the global challenge in front of us – the challenge to feed over 9 billion people by 2050 – more than a third more people in the world than there is today – from roughly about half the amount of available agricultural land. Although in some ways, we in Australia are blessed in that we grow way more food than we can possibly eat here in our own country, the downside of that is that sometimes our community becomes complacent about the availability of fresh, safe food, and starts to take for granted an industry that not only punches above it’s weight in terms of contribution to GDP, year after year, but also responsible for the stewardship of well over 50% of Australia’s land mass. We also know that we live in an increasingly urbanised environment, where more people live in the cities and less in the bush. Where generations of families have now lost those links to farmers – both families and friends – and are more likely to be jumping on a plane to Fiji than in a car to visit rellies in the country as our generation and previous generations were wont to do. Disconnect. 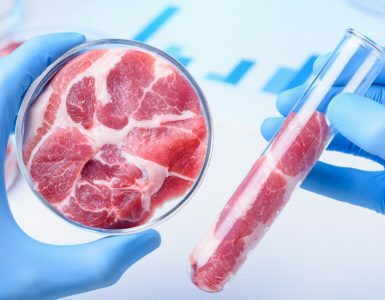 Alarm bells particularly rang for the industry in 2012, when a national survey of year 6 and year 10 students by the Australian Council for Educational Research found yawning gaps in young people’s knowledge of basic food origins. Three quarters of Australian children in their final year of primary school believed that cotton socks came from a small fluffy animal, and nearly a third believed that yogurt was a plant product and grew on trees. More alarmingly perhaps the statistics were not so different with the older students, with over 40 percent of students in year 10 thinking cotton came from an animal and 13 percent identifying yogurt as a plant product. When we think of some of the health issues such as obesity that our community is struggling with today, it’s no wonder that people are finding it difficult to make the right choices if they don’t understand what the basis is of fresh nutritional food. So, if I go back to Kennedy’s quote, I believe that as educators, empowering your students to know more and learn more about agriculture is an essential step in building our community of the future. I hope today, to give you some knowledge about our amazing agricultural industry that is going to make you excited to find out more, and to share that knowledge. Agriculture has certainly been a proud industry of Australia’s past. We talk about the growth of Australia in the early days by “riding on the sheep’s back”. Despite our best endeavours, the media still treats it as an iconic industry, preferring photos of weatherbeaten farmers in akubras to pictures of young farmers using the latest in-paddock digital sensing technology. We at NFF believe that agriculture is not only a proud industry of Australia’s history, but also an exciting and dynamic industry of our future, and we’ve charted that vision through our 2030 Roadmap, released just last year. See here for all of the information on the 2030 Roadmap. Overwhelmingly, there was an enormous sense of optimism about agriculture, and about it’s future in Australia. From an original discussion paper that KPMG helped us prepare, we put to the roundtables a number of big ideas about big issues that we needed to tackle. These ideas included: climate change, overseas markets, connectivity and digital technology, freight and infrastructure, disruption, capital, people and labour. First of all, I think it starts with our youngest students, and the most basic knowledge about food and fibre and where it comes from. In my job sometimes it takes some time to see outcomes from the lobbying that you do, and we were delighted to hear late last year that this year in NSW, new mandatory agriculture components will be introduced into the school curriculum for students in the earliest levels of primary right through to the final years of high school. Certainly we believe it’s critical that students not only know where their food and fibre comes from – know that milk doesn’t in fact come out of a carton, or meat in a packet – but also have the chance where possible to have hands on experience of growing their own food and fibre and linking that experience back to the learning in classes across the curriculum and across the levels. Secondly, it’s about ensuring that students know that agriculture these days encompasses a wide range of skills and careers – although farmers I guess will also be an essential part of the supply chain, agriculture today is about so much more, and it’s critical that students know this in time for them to make decisions about the subjects they pursue, and the courses they might like to do. And of course some of these careers are new to us – are careers of the future. these careers can be in finance or commerce, ownership models, a veterinarian, a vet nurse, farrier, or stock and station agent. The list continues on with research and development opportunities, technological development, communications and the list goes on. So – Ladies and Gentlemen – as we head towards 2030 – we believe agriculture and agricultural education is going to be critical for the community of tomorrow. We want our educators and education to know the latest information about our industry, and want to work with our stakeholders to help them in any way we can. I know of no pursuit in which more real and important services can be rendered to any country than by improving it’s agriculture. Although much has changed since George Washington’s time – there is no doubt that agriculture – not only the growing of food and fibre but also the industries that support it, is going to be as much a part of our future as it has been of our past. We congratulate you on your own commitment and rely on you to equip our students with the latest and best knowledge to enable them to participate fully in a world where safe and plentiful food and fibre is critical, and where they at least appreciate or are maybe even actively engaged in some way in the agricultural industries of tomorrow. 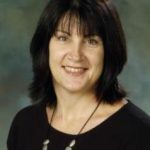 Throughout the conference conference there was a strong emphasis on saving the School to Industry Partnership Program (SIPP), a primary and secondary school agriculture learning program, which the Queensland Government has axed funding for. 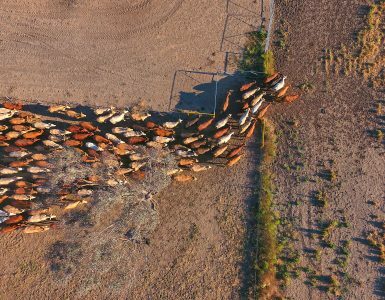 AgForce Queenslands CEO Mike Guerin feels that without the program, which costs only $18 per child to deliver, kids will become even more disconnected from where their food and fibre comes from and deepening the divide between city and country. An online petition has been set up, while many have taken to social media through the hashtag #SaveSIPP to share their stories about what the program meant to them.